Will is a registered psychotherapist, counsellor and coach who draws on extensive corporate experience and post-graduate psychotherapy qualifications to work insightfully with individuals and groups to bring about positive change. He has experience working with clients presenting with depression, anxiety, addiction, stress & burnout and living with chronic illness. Most importantly, Will approaches his work with a holistic view of the individual which looks beyond the medical model of diagnosing and treating symptoms. As well as his private practice, Will also works in a university setting as a counsellor/coach, facilitates workplace mental health programs for the Black Dog Institute, and consults to corporations on the wellbeing and engagement of their people. His Masters thesis explored workplace stress and effective coping strategies. 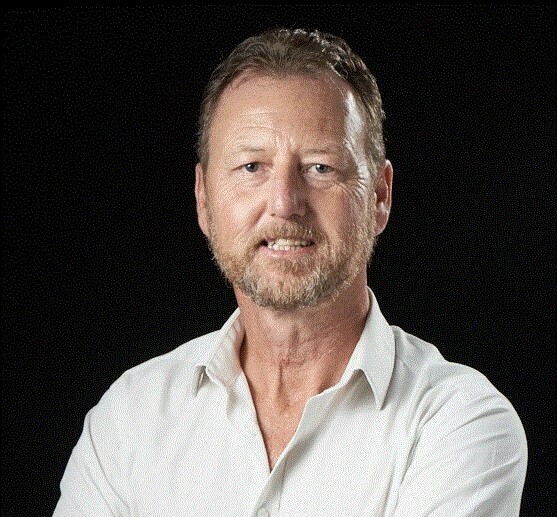 Will is a member of the Psychotherapy & Counselling Federation of Australia (PACFA), a Gallup Strengths Coach, Fellow of the Australian Institute of Company Directors (AICD) and holds Directorships and Company Secretary roles in the non-profit sector. He has post-graduate qualifications from Stanford University, Macquarie University and the Jansen Newman Institute. We are the sum of our experiences. I share my story to give some insight into who I am and how I operate. Although born in Sydney, I grew up in Asia on account of my father’s work. I completed high school and my undergraduate studies in the Philippines and worked there through my twenties. I returned to Sydney to pursue post-graduate studies in business and continued working in corporate finance around Australia and Europe before settling back in Sydney in 2001. Seeking more meaning in my life, I moved into the non-profit sector in 2003 and had the pleasure of leading some national organisations through periods of challenging growth and transition. While outwardly successful, I was failing at life. I lived with the constant expectation that happiness would descend upon me around the next corner – one more promotion, one more pay rise, one more relationship, one more new car. But happiness was elusive. When finally I arrived at the corner office with the grandiose title and commensurate salary I was crushed to find that happiness was not waiting for me there. This crisis caused me to pause and ask myself those really tough questions – who am I? How do I want to live? What is the meaning of my existence? What is my purpose? These questions launched me into philosophy, psychology and ultimately post-graduate studies in psychotherapy to be able to have these conversations and help others to explore the possibilities. Many of my clients present with depression, anxiety, substance abuse, burn out. But what sits beneath these symptoms is often an identity crisis, existential angst that is depleting them of the ability to live a rich and fulfilling life that feels as good as it looks. I work in tandem with the medical model using evidence-based diagnostic tools alongside psychotherapeutic processes to explore the impact of one’s past on their present. I embrace an integrated approach of modalities proven to be effective in assisting people to get unstuck and move forward in their lives to flourish and perform. I am married with two pre-teenage children and live in Sydney’s northern suburbs. I would welcome the opportunity to speak with you by phone or in person so you can determine if I am the right therapist for you. Until then, be well. "A quick note to say thank you for the coaching program ....I must say I was a little bit skeptical at first, but it's been a great experience so far and it's really made such a difference just being able to talk through scenarios with someone - and so can add great experience and advice. It almost feels like I have a mentor, which I think has been missing for me here. As a result I'm a much happier camper, and inspired to become a better leader." © 2018 Menstuff and Menstuff Associates. All right reserved. ABN 46067995050 and ABN 73165776394.